When it comes to applying for college, it can be very stressful due to the many applications to be filled and transcripts to be sent. However, most students have a couple of colleges that are preferred, and hope their application is accepted in one of those colleges. Check out the following tips on increasing the chances that you are successful in your application. Make sure you know your deadlines. It is always best to start your application process early to make sure you have all the necessary documents. The college(s) may also ask for additional documentation, so make sure you have sufficient time to send those in. Make sure you know your deadlines. Always print or get two copies of the blank application. Use any opportunity to make yourself shine. Keep copies of all your applications. Always call the college after applying. Read the requirements carefully. An application that is riddled with mistakes will communicate to the college that the applicant is careless. Make sure to carefully read what is required and do not send your application unless you make sure you covered all required areas. If there is a requirement that does not apply to your particular circumstances, or if there is anything unclear, call the college to explain your situation and ask for their advice. It is also a good idea to include an extra page with your application explaining why a particular requirement does not apply to you. Make sure there are no spelling mistakes. Proofread your application a few times to make sure there are no spelling mistakes. It is also a good idea to give it to someone else to proofread as well. Always print or get two copies of the blank application. Use one copy as a draft (you should use a pencil with an eraser). Fill it out completely and make sure all the information is correct. Once finished, copy the information you entered into the draft application into the second blank application. This minimizes mistakes and gives you an opportunity to correct any errors easily. Choose your references carefully. If your application requires that you provide references, there is nothing wrong with providing only the people whom you know will give you a glowing reference. Make sure the references know you well, are willing to provide references, and always let them know beforehand whether you can use them or not. Avoid exaggerating your accomplishments. While it may seem like this will increase your chances of being accepted, colleges have people dedicated to reviewing each application carefully, and they will most likely ask for additional proof or try to find out whether the information is accurate. Always be honest on your application. Use any opportunity to make yourself shine. While most parts of an application are mundane, such as background information, name, address, etc., if an application requires that you to write an essay, you should really focus on that task. Don’t rush into writing it though. 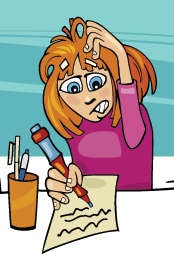 Colleges require essays to assess your level of writing and creativity. The essay is probably the best tool you have to market yourself to the college you are applying to. Keep copies of all your applications. Use manila folders to keep copies of each application and its attached documents. Using one folder for each college will help you stay organized and you will be able to refer back to each application when necessary. Always call the college after applying. Once you send in your application, it is a good idea to wait 2 weeks then call the college(s) to confirm they have received your application. This will give you peace of mind knowing that you have completed your part of the application process.